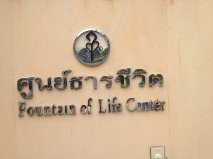 The Fountain of Life Children’s Centre was the very first community partner that I was fortunate to engage with and learn from when I arrived to live and work in Thailand back in 1999. It is a learning day centre for young children that do not (or cannot) go to Thai school, especially for children of migrant workers who have no ‘identity’ in Thailand. 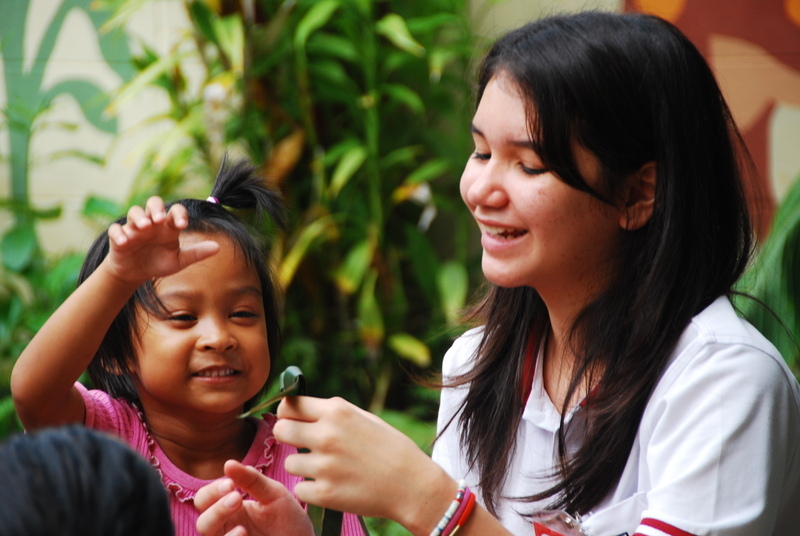 The centre was founded and is coordinated by the Good Shepherd Foundation, a group of amazing Catholic sisters who are dedicated to improving the education opportunities and living standards of children (and women) across South East Asia. The centre is largely funded by the Jesters Care for Kids, a community based group that raises funds and supports development projects specifically for young people in the Pattaya and Chonburi area. The highlight of their busy calendar being the Jester’s Fair that takes place once a year in early September. Sabrina at the Fountain of Life Children’s Centre. I have taken many student and teacher groups to the centre to learn with the children and staff there. For a number of years part of our school induction programme for new staff involved a visit to the Fountain of Life and meeting the children and staff. We always challenged the new teachers to immediately engage with the children and to find out who they are, where they come from and what their dreams are – language should never be a barrier or obstacle when learning through service and creating sustainable community partnerships. The Fountain of Life also visited our school regularly and were included in numerous activities, projects and whole school events. As part of the community partner programme at the school the Fountain of Life became the permanent learning partner and integrated into the curriculum planning for Year 1. I have also taken many visitors to the Fountain of Life through work as well as personal friends. Kru Wannee, the head teacher at the centre, is always very welcoming and understands the importance of community engagement and support. The children enjoy meeting new people and learning where you come from. They are always keen to demonstrate their English and sing songs or draw pictures with you. The centre also makes a wide range of impressive handicraft items, for example cards, which are for sale and the proceeds support the running costs of the centre. Why did you become a teacher? I would like to help poor children. I love the children and teaching is a great job. I really do love this occupation. What do you think makes a good education? You must teach the children to do it themselves. Allow the children to have a good quarity of life and help them see the value of having a social mind and helping other people. Making sure that all the children can access education who are without documentation or are from a different country. What is special about the Fountain of Life Children’s Centre? All of the children have the right to development at the Fountain of life. The Senior staff and children have equality. 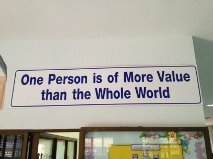 We give the power and opportunity and expect respect from the staff, parents and children. We work within a network to protect every child. How can people support the Fountain of Life? Be a volunteer. Donate money in the bankbook and the office in Pattaya. Promote the center and tell people you know. Do activities with the children and take them on outings. Donate money for education. What advice would you give people about living and working in Thailand? 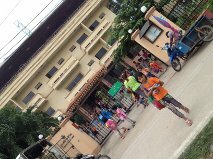 If you have time you can help us to play games and sport with the children and contact Sr.Jimjit or Sr.Joan. You can teach English or handicrafts once a week. Invite the people to visit the center. Contact other people to help the children and raise the funds to support us. Love the city and country you stay in and always help that area. This entry was posted in Community Partnerships, Culturally Aware and Interactive, Paul Crouch, Service Learning, Social Enterprise and tagged community partner learning by Paul Crouch. Bookmark the permalink.